Check out our Expecting Litters! We Have Babies in the NEst BOX!!!! We are located on the back roads of East Douglas, MA. ​We breed Quality Lionheads and Holland Lops they are two Dwarf Breeds. They are small under 4 pounds super sweet and kid friendly. We are a small "Closed" rabbitry of about 35 holes and strive to devote as much time to the rabbits as possible. We breed according to the Standard of Perfection. We work really hard to produce the best quality of Bunnies with excellent type and temperament that we possibly can. They are my pets first and breeders second. We hope you and your family think the same when you get a rabbit from us. You can stay updated with us through Facebook as well! ​Country Oak Rabbitry We strive to always let everyone know what's going on in the Barn. All my bunnies receive the best care and affection. They live in a climate controlled barn. AC in the hot months and heat in the cold months. They eat a well balanced diet of Poulin 16% and second cut hay from our local grain store who also tests the hay for nutritional value as well. We sometimes add Dried Old Fashioned Quaker Oats/ Poulin makes a 40 pound bag I get of Golden Rolled Oats and Black Oil Sunflower Seeds to add condition and shine to their coats. We also give our expecting mother rabbits Fennel and for Mothers and Wean lings Alfalfa Pellets instead of Calf Manna to help with milk production and for rabbits we feel need to gain some weight. Its made by Manna Pro and at this point I dont trust it. So we are going a healthier root. 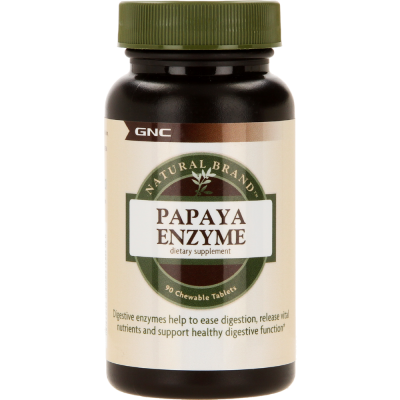 Another helpful ingredient that we found was giving them Papaya Enzyme Tablets which keep their digestive system on track and also helps break down fur in their system to prevent fur block. ACV (Apple Cider Vinegar) we add to their water off and on, it has many benefits, to learn more: ​https://madhatterrabbits.com/2013/12/11/using-apple-cider-vinegar-with-rabbits/. We also worm/treat our buns with a preventative every 6 months to keep them healthy. We strive to keep the rabbitry as clean as possible and to keep the insects out. We clean the rabbitry daily we sweep, mop, and vacuum around the cages and trays are cleaned every weekend! We use Equine Pine Pellets in the bottom of our trays and also spray them with Distilled White Vinegar and the bottom of the trays get coated with Diatomaceous earth which helps with the urine smell and kills any small bugs that may come in! They are our babies and deserve to live a Long and Happy, Healthy Life! Our adult bunnies are not breeding machines they are cared for regularly they are not stressed! Mother rabbits are pampered before, During, and After her kits are weaned and gone to their new homes. We give our mother rabbits a break in between litters to get body weight and mass back up to their healthy levels and let them just be themselves. We also breed a few does that way if there are any troubles we can foster kits to another mother. Our baby bunnies are handled when they are first born. We have a close relationship with our rabbits so they don't mind that we handle their babies or look into the nest box to make sure all kits are "Okay" and to see if they have full bellies and are growing! We breed friendly and sociable bunnies if we notice that one has a behavioral issue starting we try to fix it if we can, if we can't then we rehome it and don't let that behavior into our Lines! We breed for Pet, Show, and Brood! ​We breed for Pet, Show, and Brood! Our main purpose of breeding is to the Standard of Perfection and Quality over Quantity. When we decide to have a litter we first make sure that we are paring parents that are to the standard. All litters are offspring we will be deciding/Watching on to keep for future Show prospects. If we do decide that a baby is for sale because for some reason does not meet the standard or not something we want to add to our lines then we will sell it as a pet, Brood, or Show Qualities. Definitions below of each! Pet Quality is a rabbit that cannot be used in a breeding program, but would still make a great pet. A pet quality rabbit may have too many genetic undesirables, such as bad toenails, etc. Things a pet-owner won't notice. Or, a pet-quality bunny may be retired from the breeding world and ready to live the easy life. Sometimes, pet-only bunnies don't produce and are thereby useless as breeders. There are many reasons for a bunny to be considered pet-only quality, and this has nothing to do with how good a pet this rabbit will make! Pet quality bunnies are usually the least expensive ones and should not come with a pedigree, as they are not to be bred. Our pet quality bunnies come with a birth certificate and a baggie of transiting food when sold. If a rabbit becomes for sale that is of Brood Quality then it can be used in a breeding program but can't be shown because a disqualification, such as too many scattered white hairs, ears over 2 in., etc. These bunnies can still produce show-worthy offspring, however, and could be sold to another breeder. I will also sell brood and show quality rabbits as pets, but I will not sell them at a pet-only price regardless! These bunnies are potentially or proven great producers. Though they often may still sell as pets and that's perfectly fine, the buyer should be aware of why this bunny is priced higher than the above "pet-only" bunnies. If I post a rabbit for sale that is Show quality then the rabbit(s) have the best type, fur, color, etc. 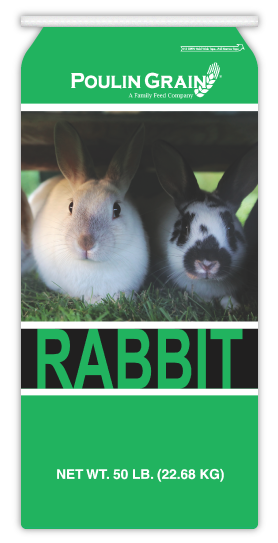 These rabbits may still have faults and it is advised that, before buying a rabbit of show or brood quality, you research the breed's standard. It is preferred that these rabbits, if not kept, are sold to someone who will show them. However, in the event a show quality rabbit is bought by a pet-buyer, the price will remain the same. If I post in the Nursery Page as "Watching" it means that I am waiting to see how it develops and it may or may not be for sale in the future. I have decided I would like to add this baby to our herd! I do not discount show-quality rabbits if the buyer doesn't have the intention of showing them, nor do I discount brood-quality rabbits if the buyer doesn't have the intention of breeding them. Usually, someone else will come along who is willing to pay what I think that rabbit is worth. I only lower/raise the prices of my rabbits as I see fit, and will never sell a bunny at a "snake food" price. I don't want my babies to be used as snake food and if this is your intention, I would suggest you visit your local feed store. I will refuse to sell a bunny if I find out it will be another animal's meal. I know snakes need to eat, but they don't need to eat MY rabbits. Pet, Brood and Show quality is determined by me. That means it's my opinion, and may or may not be the opinion of the judges at the rabbit shows or the opinion of other breeders. It is your responsibility to do your own research and look over the bunny yourself before buying. I will do my best to predict quality, but I'm a new breeder myself and I'm nowhere near an expert at determining quality. If you disagree with my decision on price/quality do not purchase. Also, if you're a more experienced breeder and disagree with quality, feel free to send me a polite email about the bunny/ies in question but be prepared to provide the source of your information. I hope this answers some of your questions more in-depth about how I price my bunnies and what I go by when babies become available. Country Oak Rabbitry does NOT litter box train any of our rabbits. We do NOT have or sell any Neutered or Spayed rabbits - Those are responsibilities of the new owners! Before a rabbit leaves my possession, it is in perfect health to the best of my knowledge. I will not sell a sick or injured rabbit. However once a rabbit leaves my possession it is up to you, the owner, to care for it. There will be NO refunds given if your bunny falls sick after leaving our possession. Babies don't leave until 8 weeks old and if posted for sale deposits can be made on a baby that becomes available at 6 weeks old. We can meet potential bunny parents for a gas fee if they can't make the full drive out to get there bunny. ​When buying a bunny from Country Oak Rabbitry, you will get more than just a bunny. You will get the a very well socialized, loving bun and they will love you in return! We are also very selective when finding homes for our buns, to insure the best home possible. Know the essentials a bunny needs to thrive in its new home with you! Dwarf bunnies need to be housed inside a bunny of this size should never become an outdoor bunny! The weather is too harsh for them to live in the Summer Heat and in the Freezing temps of winter! Also check with your LANDLORD if you Rent! Please read our SALES POLICY before you contact us about a rabbit - If you don't agree with it then don't purchase from us. ​The deposit is Non - refundable because if you don't want the bunny I still have to pay for its care until someone new shows interested in that particular bunny. If meeting halfway - Gas Fee- needs to be included in the first deposit of the rabbit (That is the only refund you will get back. When picking up your rabbit please bring a suitable carrier for transport. Please also have everything at home you will need for your bunny before you bring them home. Cage, Supplies, etc. Pedigree rabbits come with a tattoo and a prefix or "Country Oak's ______" This can not be changed at anytime! Tacomie and Mavis - a baby from our first breedings 5 years ago! ​ Our Blue Eyed White Lionhead Program is growing! If you are looking for Blue Eyes with white markings we have them! Country Oak's Douglas - Blue ~ VM - Dutchess and Leonardo baby!